Burgundy is the new colour of the season. It is used in a variety of knitwear styles, as well as becoming a new Color Exposure shade for denim: the reverse sides of jeans match the new knitwear. 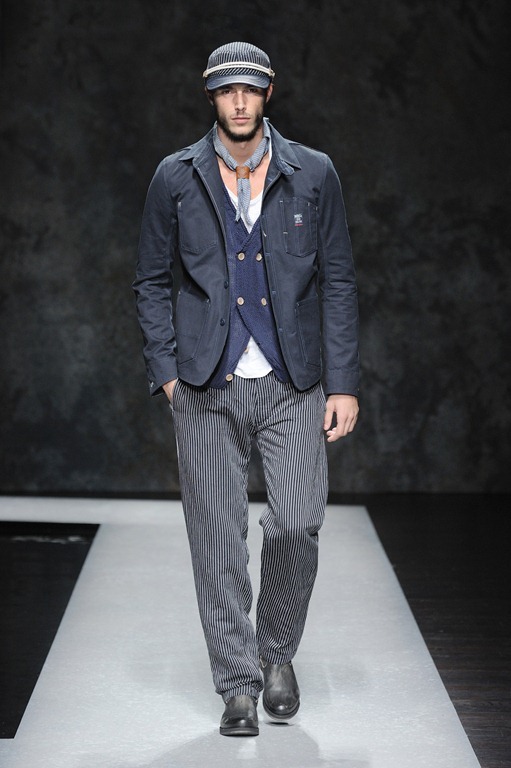 Workwear remains firmly embedded in Diesel’s DNA and naturally denim workwear is key to this collection. Whether treated and untreated, plain or striped, textured or smooth, jeans, utility jackets and overalls treat workwear with the respect it deserves. 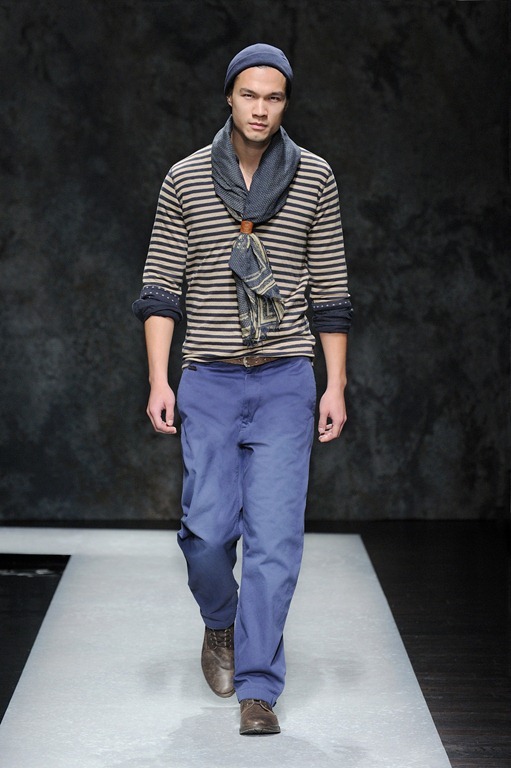 For early Winter, indigo is joined by gray and green. A bright, eye-popping green is featured on the delivery’s key piece: unique knickerbockers training pants in patterned knitwear. 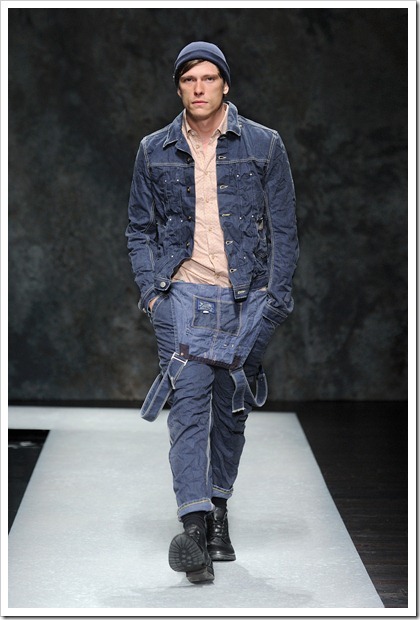 This idea of making a classic an original – hi-tech performance vintage – is also seen in denim, where grandpa-stripe denim is coated to produce a technical, contemporary workwear look. Outerwear is quite simply premium thanks to a fascinating mix of fabrics, as seen in the hybrid jacket that combines knitwear and fake fur. Winter work apparel is also lined to feel soft and cozy while keeping you warm in the cold. in which you’ll want to strut your stuff. 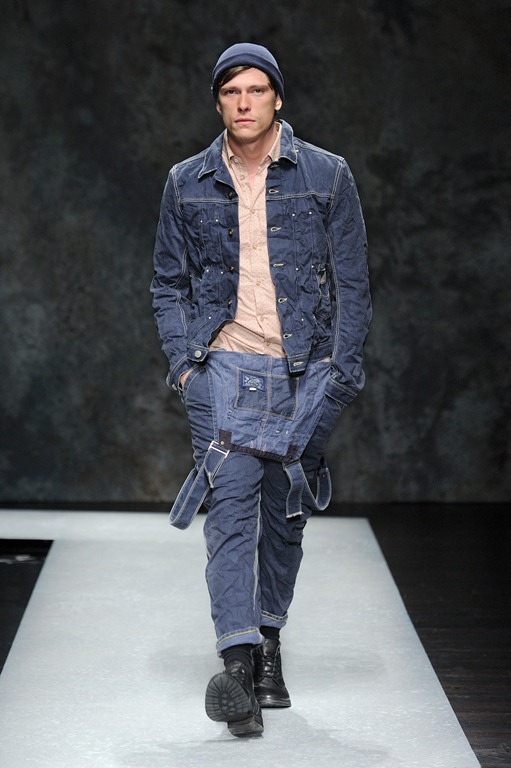 Diesel’s redefinition of what denim can be continues with its Color Exposure D.N.A. denim. Featuring delicate handmade treatments that impregnate deep into the heart of the fabric, the insides of jeans become bright features in themselves – using yarn dyed wefts or simply overdyes. Just slip them on, turn up the leg and you’ve got a whole new world of color in your denim life. 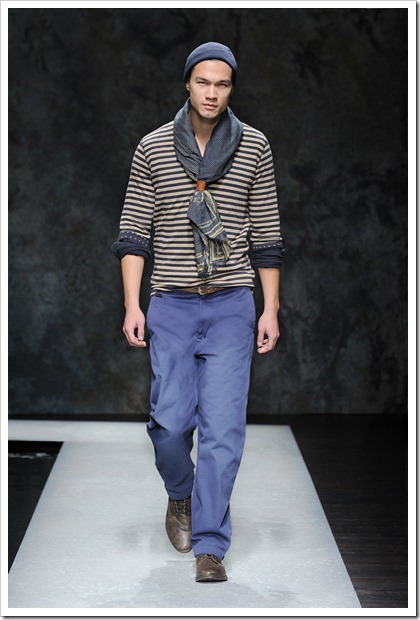 A new approach – and one that will continue in the future – is the use of textured denim, with herringbone, salt&pepper and grandpa stripes, in treated and untreated versions. In the accessory collection is recognizable the strong and vintage Diesel DNA.